Margaret Sackville was born in 1881 in Mayfair, West London. She was a prolific writer, both as a poet and as an author of children's books. 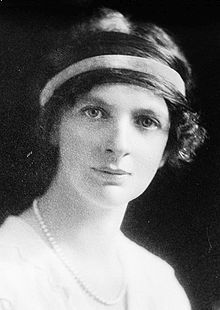 During the First World War she was activist in peace organizations like the Union of Democratic Control that she supported throughout the years of the warfare. The poem we propose today first appeared in the book entitled The Pageant of War in 1916 (it can sound prosaic as a title but pay attention to the year, it was a real innovation to talk for the first time of a new pageant deriving from the destruction). What comes out after a rough and rapid comparison among different "war poets" is the preference for scenes: the poetry generated by World War One overlaps somehow with a "global poetics of scenes" and also the special case of the following "silent" poem gives us a confirmation in such perception. At the same time, what is really interesting to study, is the different treatment that the "recollection" of scenes and memories undergoes in the different cases. It's more or less like saying that we face often a clear starting point (namely that particular scene) and what is surprising, at the end of the day, is the abundance of solutions to describe, interpret or even go beyond the scene that we can file in our inventory. Thinking about the Italian poets, for example, both Giuseppe Ungaretti and Clemente Rebora often start from even similar war scenes, but the result in their verses is a totally diverse "poetics of the scene". The creaking of a door, a lost dog-nothing else. Their only prayer: "O Lord, give us our daily bread!" Who shall deliver us from the memory of these dead?